Microsoft’s Xbox Live rewards program appears to have launched in full force for participating members, with pages on Xbox.com detailing three tiers: Gray, Green, and Orange. 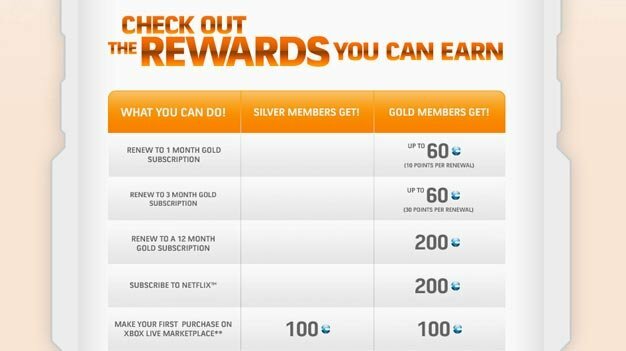 The program rewards users with Microsoft Points for activities such as renewing their Xbox Live Gold memberships, participating in surveys, purchasing items on Marketplace etc. Participating members will be receiving monthly updates with details on what they’ve earned from a rather ominous sounding Rewards Squad. Hit the links to get the details on benefits for both Silver and Gold members.